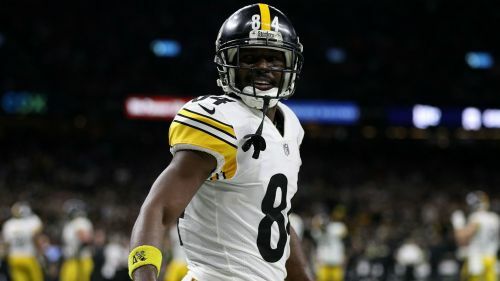 The Buffalo Bills will not be acquiring Pittsburgh Steelers wide receiver Antonio Brown via a trade, general manager Brandon Beane has said. A report on Thursday claimed the Bills were "closing in on a deal" for seven-time Pro Bowler Brown, who has made no secret of his desire to be traded by the Steelers this offseason. The 30-year-old wide receiver, who hauled in 15 touchdown receptions last year, dismissed that story as "fake news" in a reply to an Instagram post on the NFL's account. Beane has now revealed that though the Bills discussed a trade for Brown with the Steelers this week, the team had "moved on" from a potential deal. "We enquired about Antonio Brown on Tuesday and kept talks open with the Steelers," Beane said in a statement on the franchise's website. "We had positive discussions, but ultimately it didn't make sense for either side. "As great a player as Antonio Brown is, we have moved on and our focus is on free agency."